The former Connecticut Juvenile Training School in Middletown. 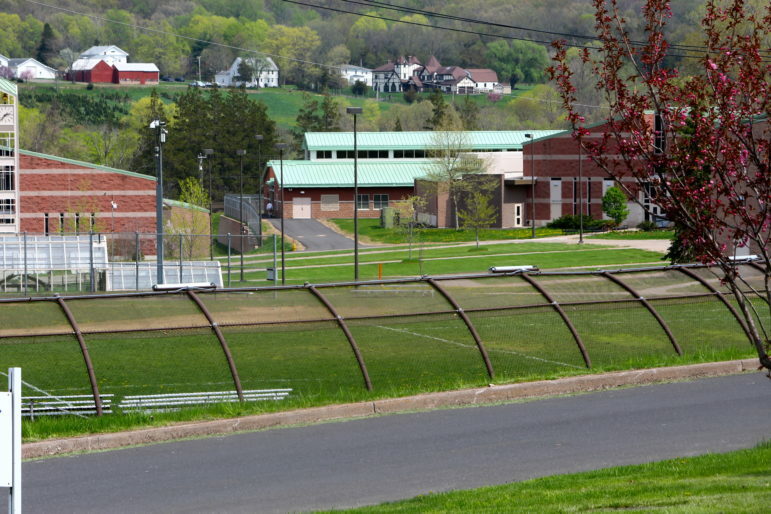 Instead, the Connecticut Juvenile Training School closed on April 12 with none of those alternatives in place – forcing the state to place the boys in pretrial detention centers that were never intended to meet the needs of this population. Those centers, located in Bridgeport and Hartford, now house a combination of pre-trial and adjudicated youth. While state officials have attempted to revamp the centers to accommodate long-term residents, such as by bringing in extra psychiatric staff and adding educational and recreational programs, advocates question why the state didn’t prepare better for the closure of CJTS and why it hasn’t moved faster to establish alternative facilities. The Judicial Branch – responsible for these youth as of July 1– reports it is still trying to find nonprofit providers willing to open secure and therapeutic settings for convicted youth. Gov. Dannel P. Malloy announced in late 2015 that CJTS would close July 1, 2018. In the intervening two and a half years, the state Department of Children and Families, which oversaw CJTS, began preparing for its closure but never finalized its broad plan to replace it. “There was a lot of planning, there were alternatives sought and we sought to find private providers to open up a program, [but] before we came up with a plan the transition was announced,” said Gary Kleeblatt, DCF spokesman. The state legislature voted in October to transfer responsibility for the boys formerly held at CJTS under DCF’s jurisdiction to the Court Support Services Division (CSSD) of the Judicial Branch. The legislature acted in response to numerous controversies at this facility for boys convicted of offenses not serious enough to merit placing them in the adult correction system. Although CSSD did not know until last October that DCF’s responsibilities to help rehabilitate youth in need of a secure setting would be transferred to them, the closure of CJTS was hardly a new development given that Gov. Dannel P. Malloy announced his plans to shut down the facility more than two years ago. And advocates say CSSD hasn’t moved quickly enough. “…there was not enough careful planning done. So now what you have is this forced, make-shift option,” said Martha Stone, an attorney with the Center for Children’s Advocacy, whose clients include youth entwined in the state’s juvenile justice system. Roberge said CSSD is in the process of creating a second RFP for secure, locked facilities that would house six to 10 boys each. State officials hope to have three of these facilities operational by the start of 2019, providing 25 to 30 secure beds across the state. Roberge said the previous bid released earlier this year turned up only one result and was not accepted. Roberge declined to comment about specifically why the state did not accept the bid. 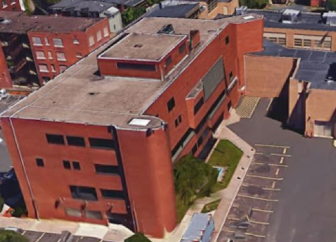 CSSD has, however, already awarded two contracts for staff secure, unlocked facilities – CT Junior Republic in Waterbury and Boys and Girls Village in Milford – that it hopes to open this November. Small, home-like facilities like these are considered the gold-standard in terms of rehabilitation and reducing recidivism in juveniles. “There’s evidence that kids do better when they are in non-institutional, small, home-like facilities,” said Bill Carbone, executive director for Justice Programs at the University of New Haven, and the former executive director of CSSD. Until these facilities open, however, it is unclear how long children could remain in detention centers. To cover the children formerly committed to DCF, the state budget provided the Judicial Branch $17 million, $5 million less than the agency originally requested. Roberge said they will soon have a better idea if this is enough funding to cover their additional responsibilities. But critics point out that the state could have channeled more of the money it saved by closing CJTS toward new programs for that population. Prior to its closure, CJTS was the state’s only secure facility for boys convicted of offenses that are not serious enough to merit confinement in the adult system. It opened in 2001, under former-Gov. John G. Rowland, and soon became a target for critics, who deemed it obsolete almost from the time it was built. It was also one of the key pieces of evidence in Rowland’s corruption trial after federal prosecutors proved the Rowland administration unfairly awarded the $57 million contract to the Tomasso Brothers Inc. in return for gifts and favors. The training school was surrounded by a fence and security cameras. Entering required passing through a series of locked doors and, according to an investigation by the state’s Child Advocate, residents were at times unlawfully restrained and put into seclusion for extended periods of time. The plan to close the troubled facility dates back to 2005, when Rowland’s successor, Gov. M. Jodi Rell, put out a blueprint for shutting it down. Although most state officials and lawmakers agreed that the facility needed to close, Rell’s plan failed for several reasons, including cost projections — $23.2 million to build smaller facilities and $29.2 million to operate them. Additionally, leaders from the communities where new facilities were proposed to be located, along with unionized employees who work at the Middletown facility, were opposed to the plan. CJTS stopped accepting new residents on Jan. 1, 2018, at which time there were only 39 remaining residents. Those boys were either sent home or transferred to other DCF homes or programs prior to the facility’s closure. Now that CSSD has taken over responsibility for this population, the number of incarcerated minors in CSSD’s care has increased. According to an August 2018 report from the Office of Policy and Management’s Criminal Justice Policy and Planning Division, the number of juveniles held in CSSD detention centers increased from 21 at the end of December, 2017, to 56 this month. The census this week is 68 juveniles, said Roberge. Despite the added cases, there has not been an increase in juveniles sent to out-of-state facilities, as was feared by several advocates for juvenile justice, Roberge said. Before the closure of CJTS, just two children were being held at facilities out of state. In recent years, those 88-bed facilities have rarely been more than half occupied, Stone said. Stone brought lawsuits against the detention facilities in 1993 and again in 2005 over substandard conditions. Since then, the conditions have improved greatly, she said, but the facilities are still not designed for long-term stay. Roberge said CSSD has increased the number of juvenile detention monitors at both facilities since taking in long-term residents. Earlier this month, however, the union representing employees at state juvenile detention centers released a statement calling for the Judicial Branch to address deteriorating working conditions and understaffing that could result in injuries to both residents and staff. As of yet, no injuries have been reported. Over the past few years there have been many cuts to CSSD, making it difficult for community-based juvenile programs to grow and continue. Additionally, the Juvenile Justice Policy and Oversight Committee (JJPOC) managed by Carbone is working to develop a plan to reinvest the money saved from shutting down larger institutions into community-based programs. The effort is not specifically targeted at CJTS, Carbone said. Despite JJPOC’s new initiative of Justice Reinvestment, Anderson has not seen any such work thus far. “When we were putting that money into a prison to house mostly black and brown boys that was no problem, but when we wanted to reinvest it in community programs everyone balked,” Anderson said. Anderson’s organization – Juvenile Justice Alliance – has been working with formerly incarcerated juveniles to understand what would help them to prevent recidivism.